Ashington Cricket Club’s Greg Williams believed his side were facing a tough proposition before the skipper joined forces with all rounder Stephen Boyd. The pair racked up a match-winning partnership against Ponteland at Langwell Crescent on Saturday. Williams said: “I thought we were out of the game on a pitch where it was difficult to get the ball away. “We were right up against it and when Ben O’Brien was out, I thought we were really going to struggle. 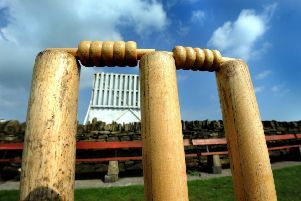 “When I went in to partner Stephen Boyd, we wanted six an over on a pitch which hadn’t gone for three an over all day. “Stephen’s was a great knock of 27 and Ben got a good 40 in the middle of the innings and was unlucky. Boyd and Williams forged a stand of 68. Williams had won the toss earlier in the afternoon. “After the previous days downpour I thought things would only get better as the day progressed and the wicket would get drier so I put them in,” he said. “I thought we might get 15 overs where the ball would seam about a bit, but that never really happened. “They got off to a decent start without losing any wickets but they weren’t going at three an over and we got a couple of wickets which pulled us back into it. “Matty Collins bowled a good spell down the bank and we fielded well for the first 30 overs then let ourselves down including dropping catches, and chasing 180 instead or 140 on that wicket was a massive difference. “I think we have got bowlers in our side who have got a bit extra pace, but that didn’t count today. “I think the ball sat up a little bit and it was a day for the other bowlers to perform, not so much the spinners but the slower seamers, which Ponteland had a few of.